This Albany florists roundup is sponsored by Ode à la Rose. Despite phone alerts, sticky notes and reminders from friends, you’ve nearly forgotten that special day. It’s easy to do, but you need to recover quickly and find the right gifts. Whether it’s Mother’s Day, Valentine’s, or your anniversary, you need a great gift – and fast! Fortunately, some of the best florists in Albany are here to save the day. With as little as a day’s notice, you can order the perfect bouquet to put a smile on your special someone’s face. 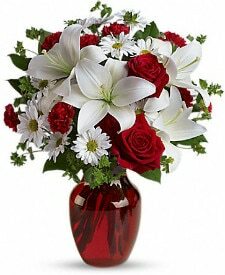 By ordering from a reliable local florist instead of a faceless national flower brand, you can rest assured that your gift will make it to the recipient quickly and in great condition. To begin your search for a floral gift, check out these 12 great florists that serve Albany, New York. This Parisian-inspired flower delivery service wows with their uniquely-designed arrangements. They started small with just a handful of florists, but they were skilled in French hand-tied bouquets. Eco-friendly farms in several countries supply them with their high-quality blooms. This retail shop and delivery service has 50 years of combined experience and the fun designs to show for it. 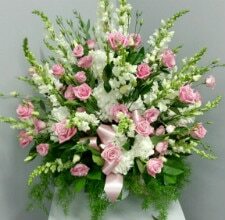 On top of wedding and event flowers, Ambiance Florals makes individual arrangements that can fit your special occasion. This florist is very close to my area and the owner is very accomodating, happy to meet your needs. They have delivery services that extend to the entire Capital District area, but if you live nearby, you can also drop in during the six days a week they’re open. As a local florist based in Albany, the Enchanted Florist creates elegant arrangements in their downtown shop. They’ve been family-owned and operated since 2013, and their online ordering option is easy to use. Their classy selection can make your gift pop. Take advantage of their delivery services, which extend to the surrounding Albany area. This Delmar shop has flower gifts for many occasions with blooms that match holidays and seasons. 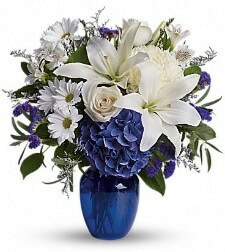 You can visit their shop to pick up flowers or call to arrange delivery. 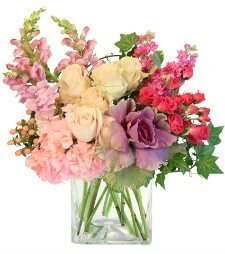 Enchanted Garden Delmar graciously provides free delivery to St. Peter’s, Albany Medical Center and the VA Hospital, so if you’re sending a get well bouquet, this shop is a convenient option. As a florist and greenhouse, Felthousen’s is just as enjoyable to visit as it is to order from. Open since 1913, they have two locations — one in Schenectady and another in Cohoes. Need to send your flowers to your spouse’s workplace? They deliver to homes, businesses, venues and funeral facilities. 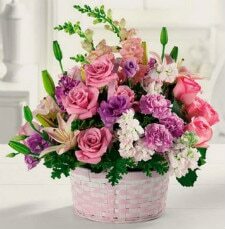 With their large inventory of fresh flowers along with dried flower arrangements and silk options, you can find an impressive gift here. If you’re looking for cheap flower delivery in Albany, Mary Genevive’s Fleur de Lis can help you keep your special gift affordable. This floral studio with classic combinations is located in Troy, but they deliver to the surrounding community. You can feel confident in their experience and detailed handiwork. 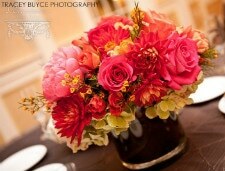 For simple celebrations and significant moments, Fleurtacious Designs offers a unique style. Their floral and gift boutique is a welcoming place stocked with a variety of flowers. 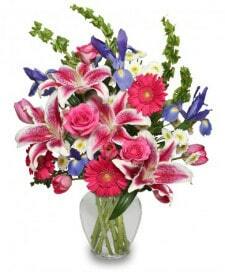 With more than a decade of experience, they’re a dedicated and professional choice to send flowers in Albany. They even do local same-day delivery requests until noon on weekdays or 11 a.m. on Saturdays. Holland Nursery, Greenhouse Environmental Services & Flower Shop is an Albany-based florist that delivers to the area with friendly and competent service. Their floral gifts also include themed vases in the shape of an elephant or truck, if you’d like a whimsical flair. You can even use their quick shop feature to narrow down your online search if you’re in a hurry. This flower shop makes distinct creations for everything from romantic surprises to birthdays. Lark St. Flower Market is aimed at meeting your taste and style, and their florists can provide you with a fresh bouquet when you stop by. If you’re an Albany local, you can wander into their store to browse their blooms. 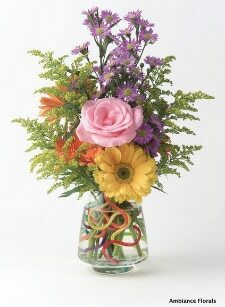 Renaissance Floral Design boasts local and worldwide delivery, so you can enjoy their products when you take a trip. 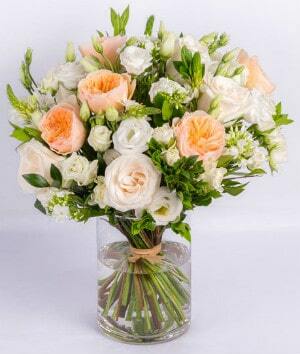 Staying true to their name, they feature a short-stemmed French bouquet in the classical style, housed in a sophisticated vase. They also offer design services to spruce up your home and garden. 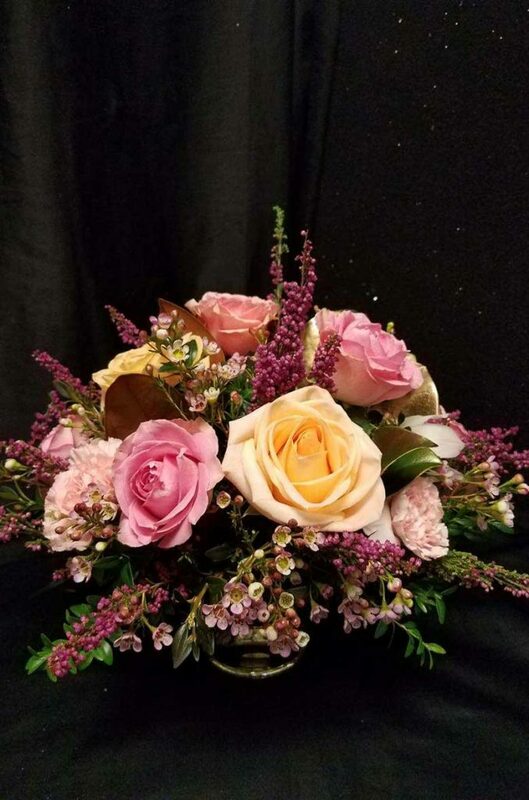 Based in Niskayuna, Surroundings Floral Studio can add a taste of the tropics to your occasion with their exotic flowers. With 20 years of experience, they have the support of their award-winning founder and owner, On Thai. 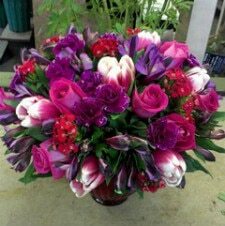 This flower delivery service serves Albany and nearby communities, so you can receive your arrangement promptly. 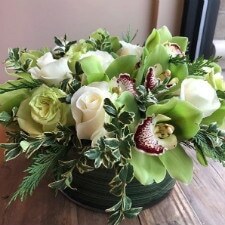 To get extra attention for your arrangement, A Touch of Country Florist handcrafts the combinations and takes pride in their expert florists. Although they’re based in Guilderland, they serve the Albany area with their delivery service — along with the rest of the nation. Whether you’re shooting for Victorian or cottage-esque, A Touch of Country has a variety of styles for your floral gifts. If you need flowers delivered in Albany, you’ll be happy to know that Ode à la Rose offers next-day delivery on weekdays to Albany and most of the Northeast. Their online ordering is simple, and they’ll provide status updates on your order through email. 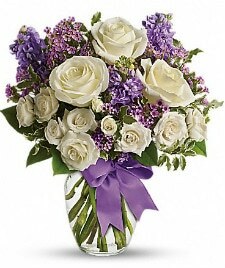 You even get a picture of the bouquet before it heads your way in a lovely purple box.